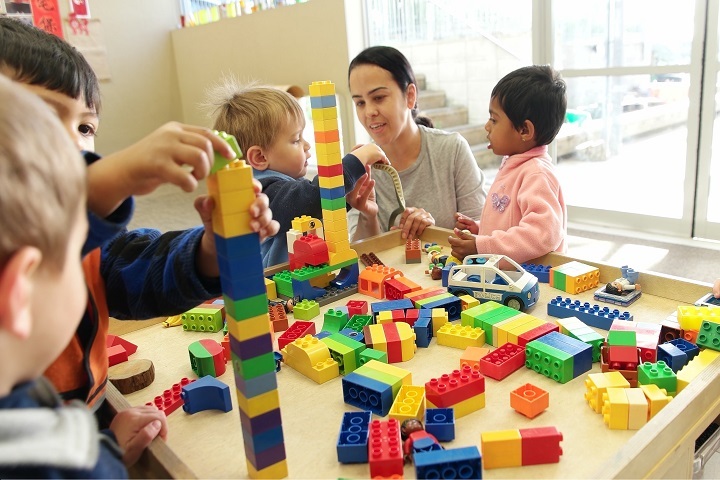 The Westgate centre operates from a large purpose-built 4 room centre that caters for up to 100 children from birth to 6 years, located within the recreation and lifestyle area of Westgate, in West Auckland. Our under 2’s room, Arohanui, is very large, light and open with an inviting movement zone for under 1’s as well as many engaging experiences for infants and toddlers. There is a large covered veranda wrapped around the front of the building to provide indoor-outdoor flow for all children year-round. 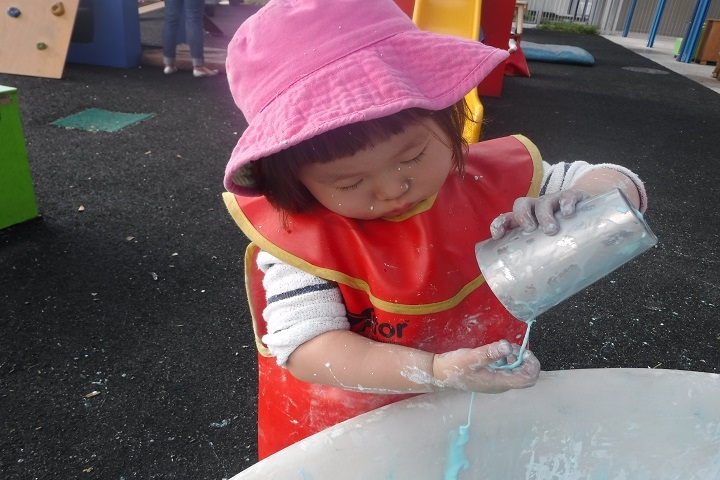 The over 2’s playground is shared to provide a large flexible space with multiple challenges and opportunities for tuākana/teina support across the age ranges whilst still offering the comfort of individual home rooms to retreat to. 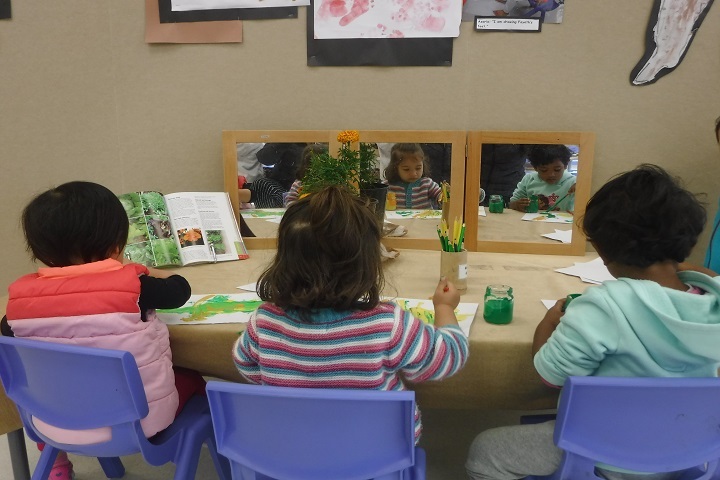 Our image of the child as rich in potential, bringing funds of knowledge, powerful and competent, connected to their whanau and community, sets the teachers’ role as their collaborator, partner, nurturer and guide. Through sensitive observation of their interests we provoke deeper thinking by presenting an aesthetically pleasing, natural environment that extends their interest and stimulates further, more complex participation. 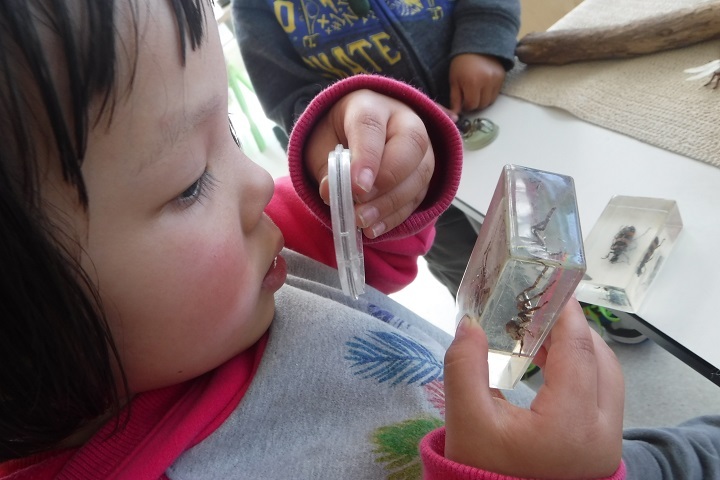 We encourage children to learn about their world and how it works through exploration and interaction with the people, places and things that are meaningful to them. 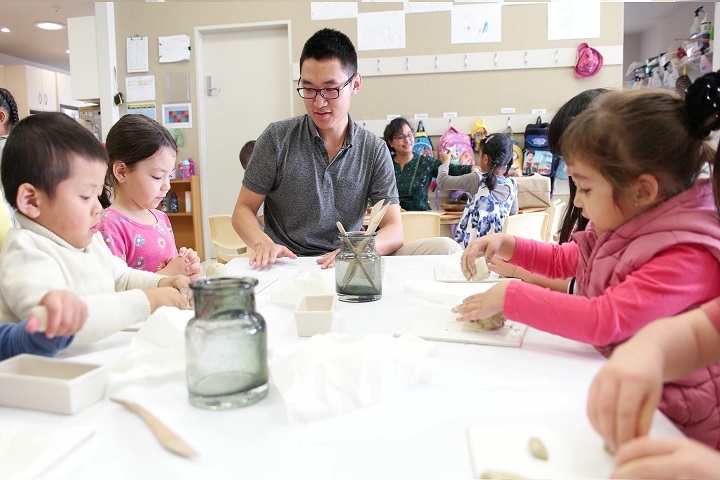 The centre philosophy is influenced by Reggio Emilia and Pikler, with both philosophies promoting deep respect for children. 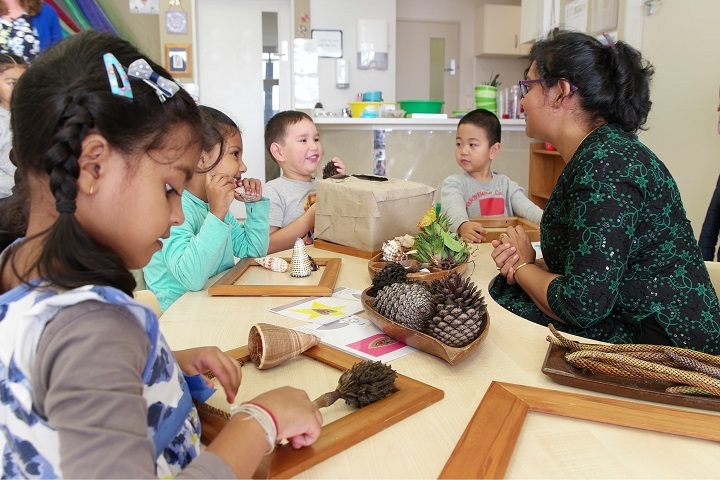 It encourages high quality teaching and learning practices, positive partnerships with parents, and places value on the bicultural heritage of Aotearoa New Zealand. Children and families experience meaningful and trusting relationships with teachers. They are welcomed into a family-like environment where home and cultural beliefs and practices are affirmed and valued. Teachers gather useful information from parents to enhance children’s care and learning. As a result of these good practices, children have a strong sense of belonging and are settled in the centre. Older children are involved and engaged in their play and learning. 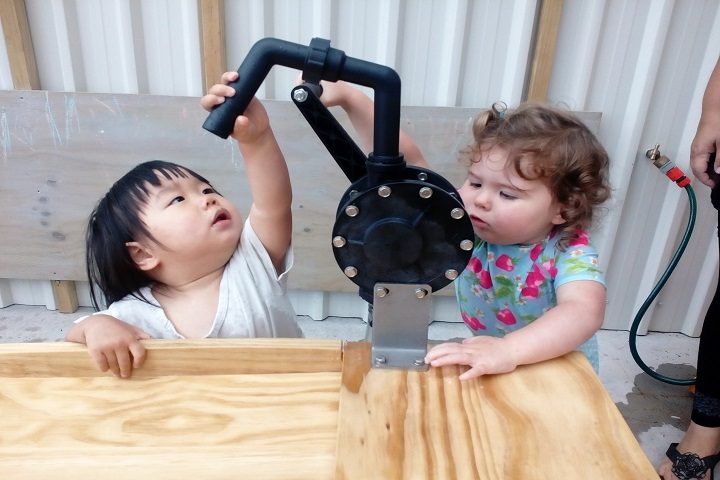 They have good opportunities for uninterrupted play, and have independent access to play materials of their choice. Teachers are calm and gentle with children. As skilled practitioners, they question and provoke children’s interests, and provide good opportunities for problem solving and critical thinking. Teachers skilfully plan for children’s emerging interests. They support children’s learning in literacy, mathematics and science. Teachers have a good understanding of te āo Māori, including te reo and tikanga Māori. They have an ongoing commitment to consistently improving and integrating their bicultural curriculum throughout learning programmes. 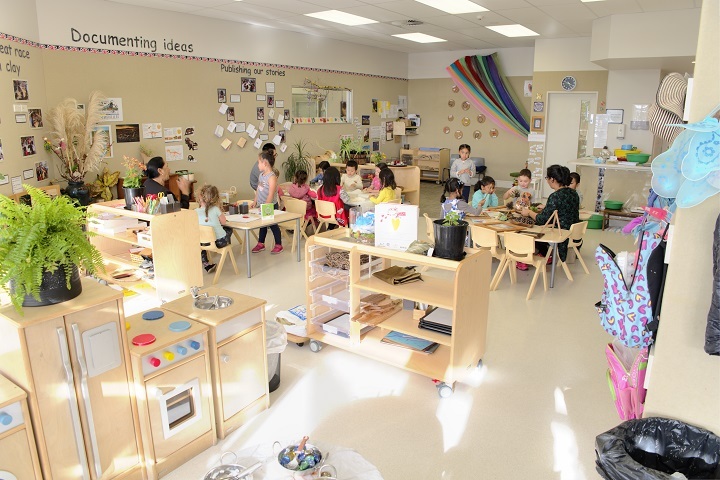 Infants and toddlers are well nurtured by their teachers within a carefully designed space. Teachers follow children’s lead, and create areas and activities that promote their interest and exploration. Parent preferences for their babies and toddlers take precedence in teachers’ planning and practice. The centre is very well led and governed. Driven by expectations for high quality practice, managers use well-considered employment and staffing processes. These aspects include generous resourcing of the centre, significant professional learning opportunities and a very good teacher appraisal process for rigorous accountability and improvement. Internal evaluation is very well understood, and used effectively as a tool for ongoing improvement. The centre has a good policy framework and other very good systems that support its overall operation. I am a registered teacher and hold a Bachelor of Education (ECE) from the Open Polytechnic of New Zealand. I am originally from Tauranga, but my family and I have lived in West Auckland for over twenty years and I love being part of this thriving community. I have three children. Infants are my passion. 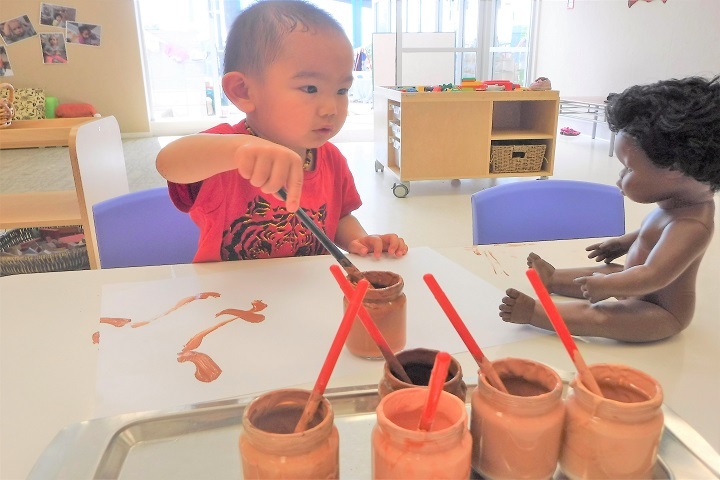 I believe that each child is a unique person in their own right who deserves to have their interests and explorations supported, nurtured and extended by their teachers in a natural, sensory rich environment with appropriate equipment to spark their imagination. I believe in child-initiated play. 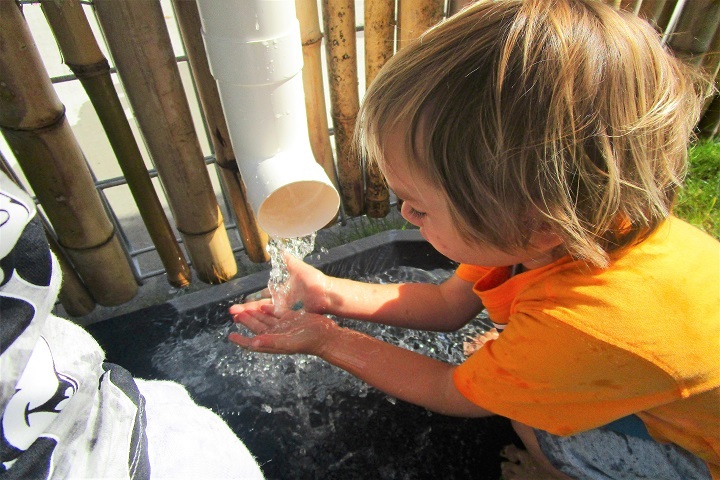 Supporting and nurturing each child’s mana, while having fun and allowing time to explore, experiment, create and discover with curiosity and wonder. Kia Ora whānau, I graduated from Dunedin College of Education in 1997 with a Diploma of Teaching. I was raised in Central Otago and made my way up the country, following my husband’s Army career, to Auckland and now reside in West Auckland. I have four children aged between 15 and 21 years old. I believe in child-initiated play. Supporting and nurturing each child’s mana, while having fun and allowing time to explore, experiment, create and discover with curiosity and wonder. I currently live in West Auckland with my husband. We have two adult children and a very friendly cat. Through dedicated training, I have gained a Bachelor of Education Montessori, Early Childhood Teaching and a Graduate Diploma, Primary Teaching. My teaching approach is based on nurturing, respect and encouragement to empower children to become independent as they gain confidence and self-esteem so they take risks with their learning. Kia Ora, I live in West Auckland. As a teacher I am passionate about strong relationships with children and their family. I believe that fostering a strong relationship creates a sense of belonging. I believe that a deep sense of belonging helps to shape a confident and competent learner. Hello, I am married and have 3 children and we live in West Auckland. Since gaining my degree seven years ago, I have discovered that teaching babies and toddlers is where my passion lies. I love coming into the classroom each day to see what we can explore, experience and discover together. I am a parent of 3 children aged between 6 and 21 and we live in West Auckland. I have been a teacher in Early Childhood for over twenty years. I am a registered teacher with a Diploma of Teaching in ECE which helps me to empathise with and understand the needs and concerns of parents settling their children here at Just Kidz.